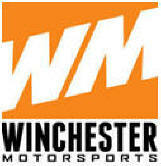 ﻿ WINCHESTER SPEEDPARK, MOTOCROSS, SUPERCROSS IN NH! WEDNESDAY, APRIL 24, 2019 OPEN MX PRACTICE 2PM - 7PM (TIME CHANGE) THURSDAY, APRIL 25, 2019 AJ CATANZARO MX SCHOOL WITH WESTON PEICK!!!! Racing Sign ups: you must go the NEATV Trailer first to get an approval stamp on your form before coming to MX Sign up to register for racing. Open for Service, Parts and Accessories!